The spirit of giving, that’s what the holiday season is all about. This Giving Tuesday, why not give a girl a positive Big Sister mentor? It’s proven. The impacts of mentoring last a lifetime. From improvements in school performance and higher career achievements to stronger relationships and increased self-esteem, mentoring changes lives. 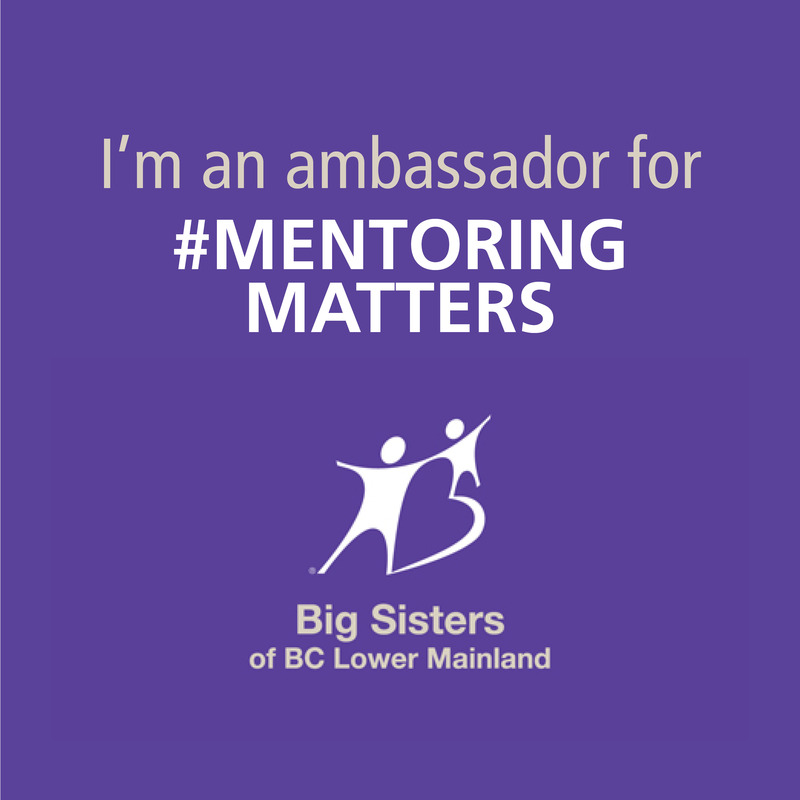 Big Sisters of BC Lower Mainland is committed to enhancing the confidence, self-esteem, and well-being of girls through supportive relationships with female mentors. They see a future where every girl in the BC Lower Mainland who needs a mentor, has a mentor and this is why I’m a proud ambassador of this incredible program! Every gift counts. Whether it’s a donation towards Big Sisters mentoring programs or volunteering your time, both help girls reach their full potential. Help us raise $2,000 online–the cost of one Big and Little Sister match per year. Donate now. Become a volunteer–we’re hoping for two new volunteers this Giving Tuesday. Sign up here. Increase our social media activity–that means more likes, shares and comments on posts that you find more interesting. Want to share your own? Use @BigSistersBCLM, #MentoringMatters, #GivingTuesday and #UnSelfie to spread the word. Giving Tuesday is about creating a national movement for giving at the start of the annual holiday season. It celebrates and encourages donations and volunteering activities that support any and all charities and non-profit organizations. Giving Tuesday takes place each year after Cyber Monday. The “Opening day of the giving season,” it is a day where charities, companies, and individuals join together to share commitments, rally for favorite causes and think about others. Giving always feels good on the inside!